"It's not a difficult thing, to love someone else, but it's difficult to love yourself when you're giving so much." Channel 4 News approached new mums on the issue of loneliness. The response was overwhelming. 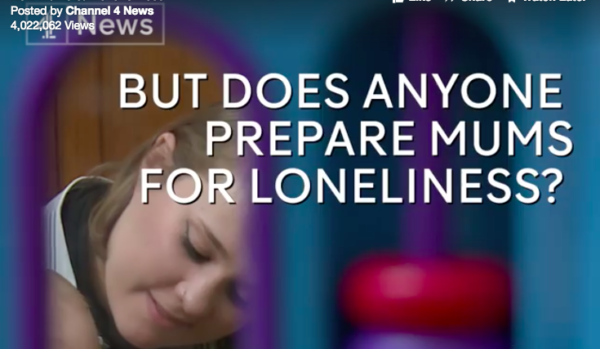 Channel 4 News approached new mums to chat about issue of loneliness. The response was overwhelming. Come and join our FREE Online Antenatal Classes for some great tips on getting out and about and making new friends when you have had a baby.